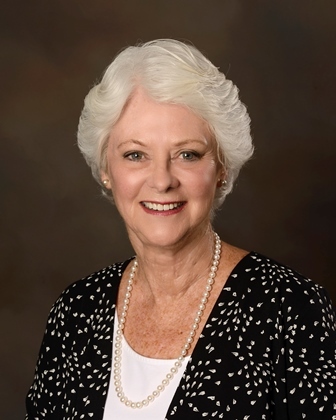 Laurie Tillett was elected Mount Dora Council Member District 1 in November 2015. Laurie and her husband, Ed, moved to Mount Dora in 2009. Between them, they have 6 children and 10 grandchildren (with more on the way!). Laurie was born in Kansas City and raised in Honolulu, Hawaii. She graduated from Randolph-Macon Woman’s College with a BA in Biology, and then earned a BSN at the Medical College of Virginia. She served 11 years active duty in the Army as a Pediatric Nurse-Practitioner, then served 17 years as a Lieutenant Colonel in the Army Reserves in a variety of managerial positions before retiring in 2001. Laurie also had a 20 year career with the Defense Information Systems Agency – serving in Europe, Washington D.C., and Hawaii. Laurie retired in 2005 as a GS-14 telecommunications manager. Laurie and her husband, Ed, volunteer with various organizations in the community and are avid, if not accomplished, lawn bowlers. She has been an active participant at council meetings for the past several years.